The lovely creature I found making delicate lacework of my lacinato kale plant was actually the beautiful caterpillar of the Black Swallowtail (or American Swallowtail) (Papilio polyxenes) butterfly! So . . . I didn’t squish the jewel-like creature, but instead carefully moved it over to my prosperous volunteer dill patch. “Eat away!” I urged it. I have lots of dill, more than I can use... 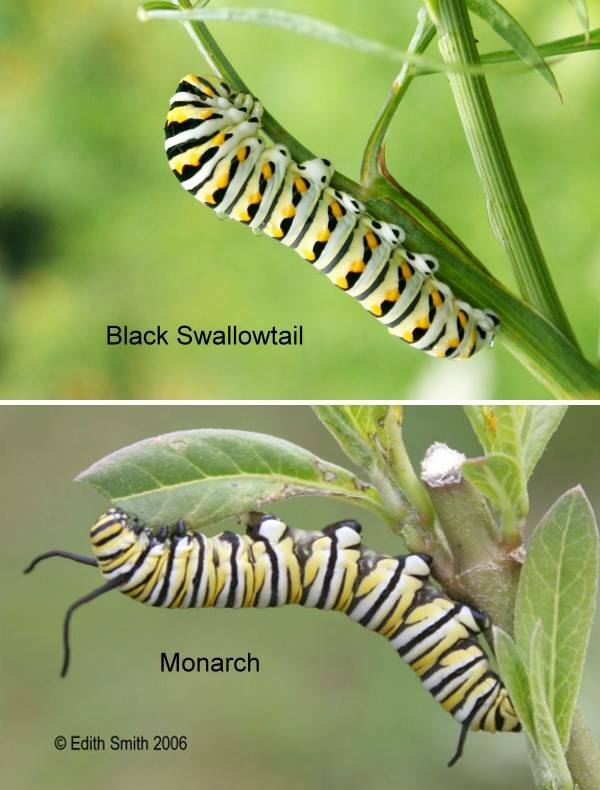 Birds learn not to eat the foul tasting butterflies that are also black with white, orange and blue markings, and these guys get a free pass by association. This picture is why I was able to definitively ID it as a Spicebush Swallowtail. 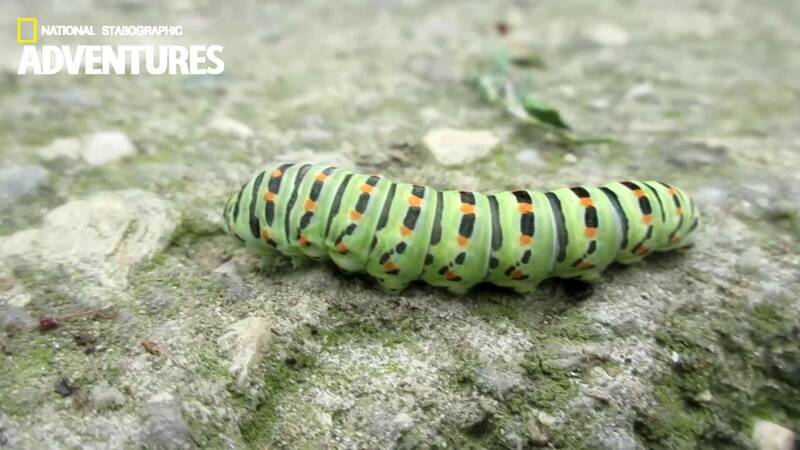 The black swallowtail caterpillar changes appearance each time it molts. In the last few stages of growth, it is white and green with black bands and yellow or orange spots. In the last few stages of growth, it is white and green with black bands and yellow or orange spots. In the terrarium currently we have 5 monarch chrysalises formed within the last 4-5 days (which freed up the milkweed in there so that’s where I put the tussock moth cats yesterday) and 2 black swallowtail pupae (one brown, on a stick, and one green, affixed to the glass side of the terrarium) and one small b.s. cat still eating the dill.